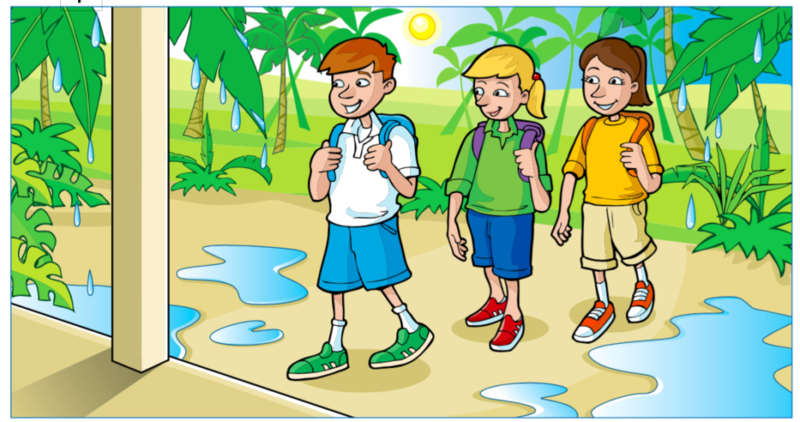 A fun way of getting learners to interact with a story like the ones that appear in A1 Movers Reading and Writing Part 5 is to ask them to look at the picture for each part of the story and to suggest more pictures that could be added. Or, they could draw the pictures to add to the story. 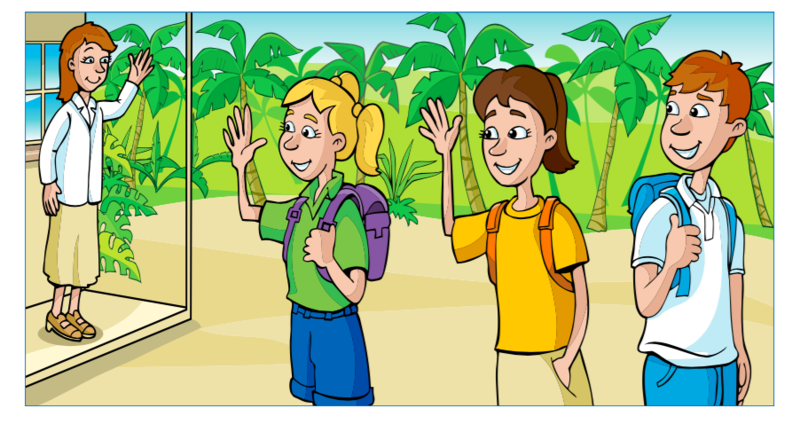 The picture for this part shows a mother waving goodbye to her two children and their friend Vicky, who are leaving for the jungle. Another picture that we could add to show the story in the text could be a picture of lots of monkeys in some jungle trees. 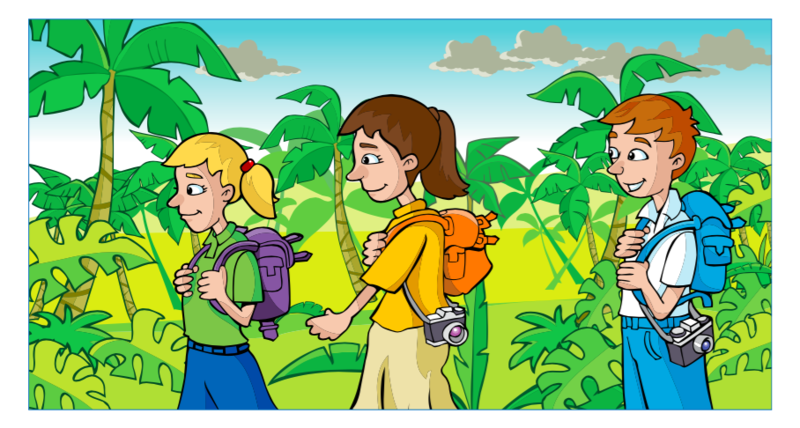 In the second picture, we see the three children in the jungle. We can also see some black clouds in the sky. The beautiful plants with red flowers. Tom putting his camera in his bag. The children and the monkeys sheltering from the rain under the big leaves. Daisy taking photos (probably of the monkeys). In the third picture, we can see the three children arriving back home. It has stopped raining and the ground is wet – but they aren’t! We don’t have pictures of the children’s sandwiches or them eating their sandwiches. And we can’t see them showing Mum their photos. Or the photos they took. Get students to be creative, show their understanding of the story by suggesting photos to add, and drawing one or more of the pictures.